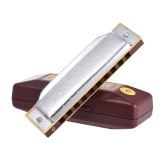 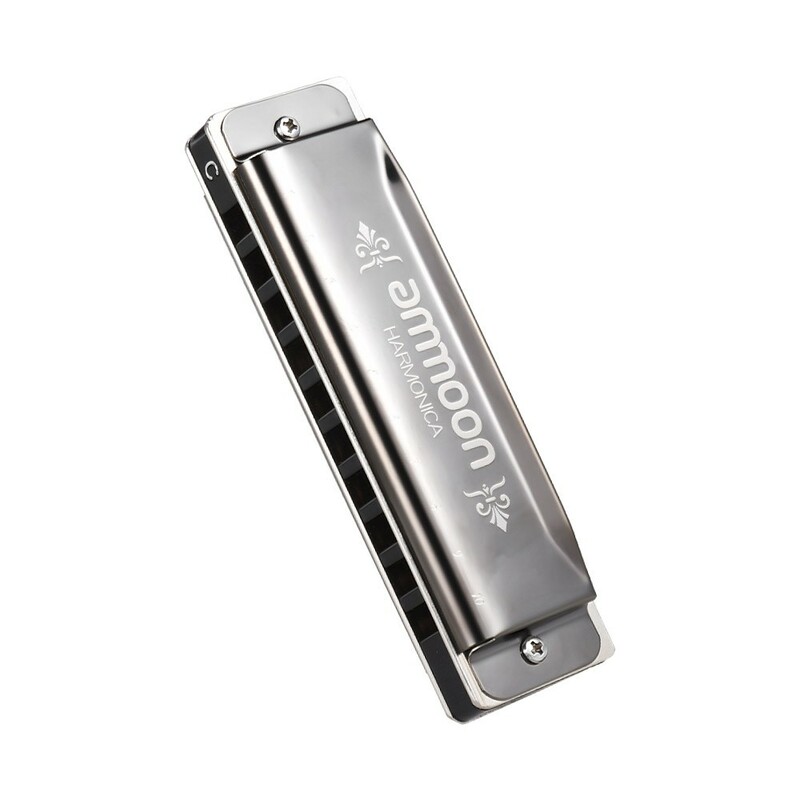 Exquisite 10 holes 20 tone harmonica, key of C.
Gorgeous harmonica delivers beautiful and rich sound, can play various music type such as blues, rock and jazz etc. 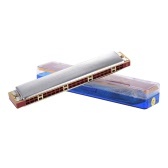 Environmental protection ABS frets, high sensitive phosphor bronze sound spring. 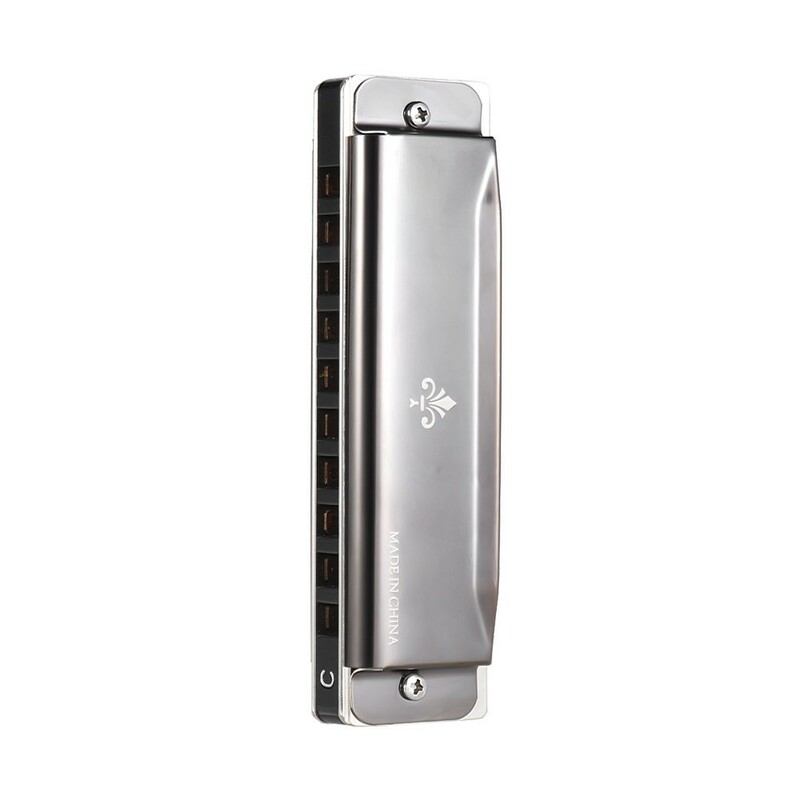 1.2mm Copper cover plate, gold mirror processing appearance, elegant and exquisite pattern. 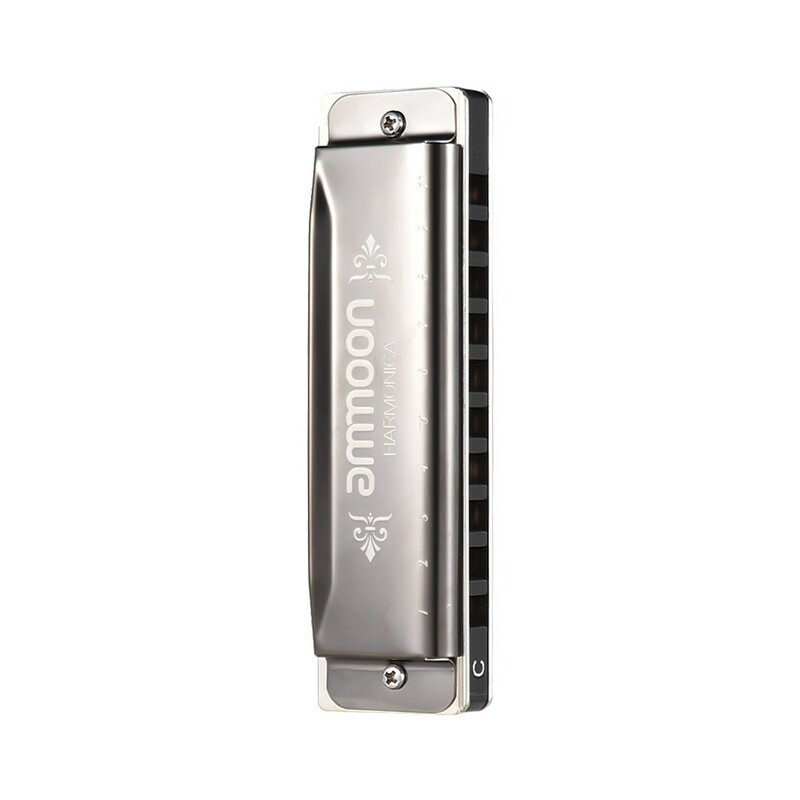 Great sound for any professionals and skilled players. 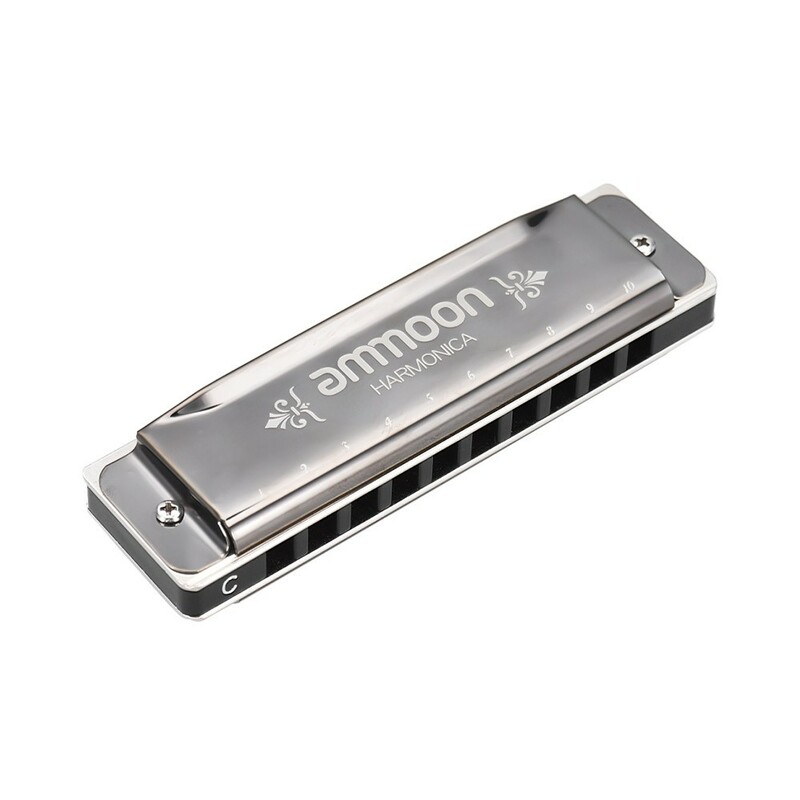 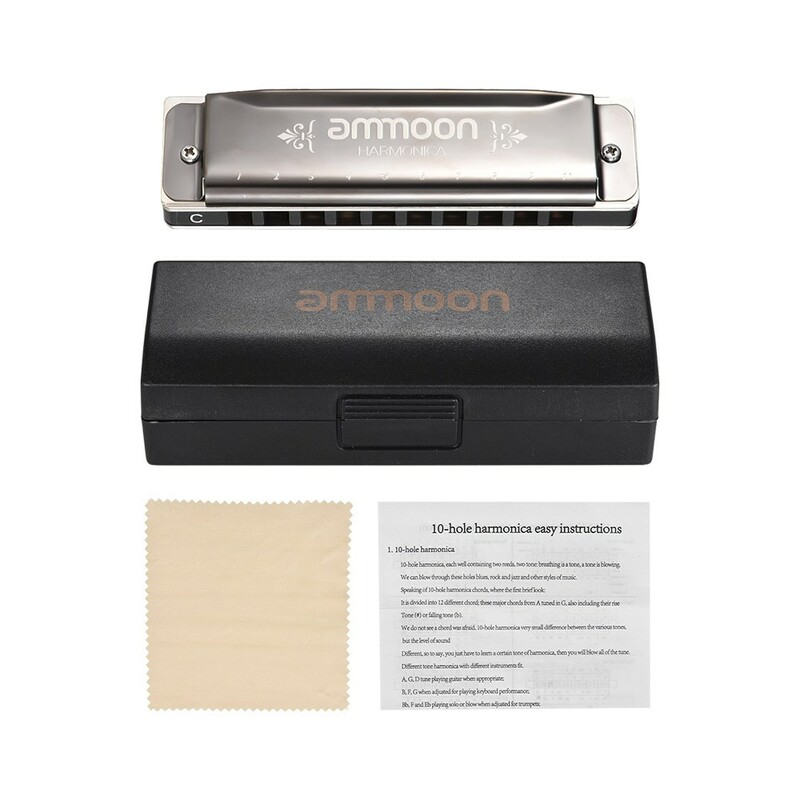 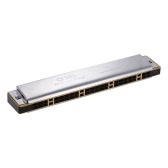 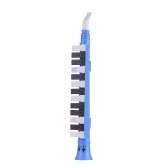 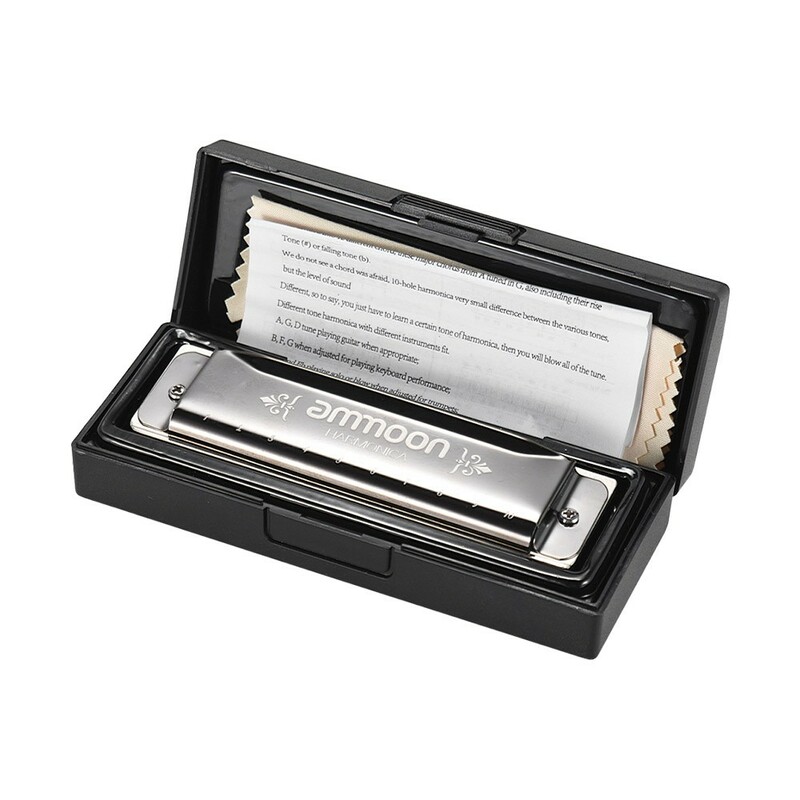 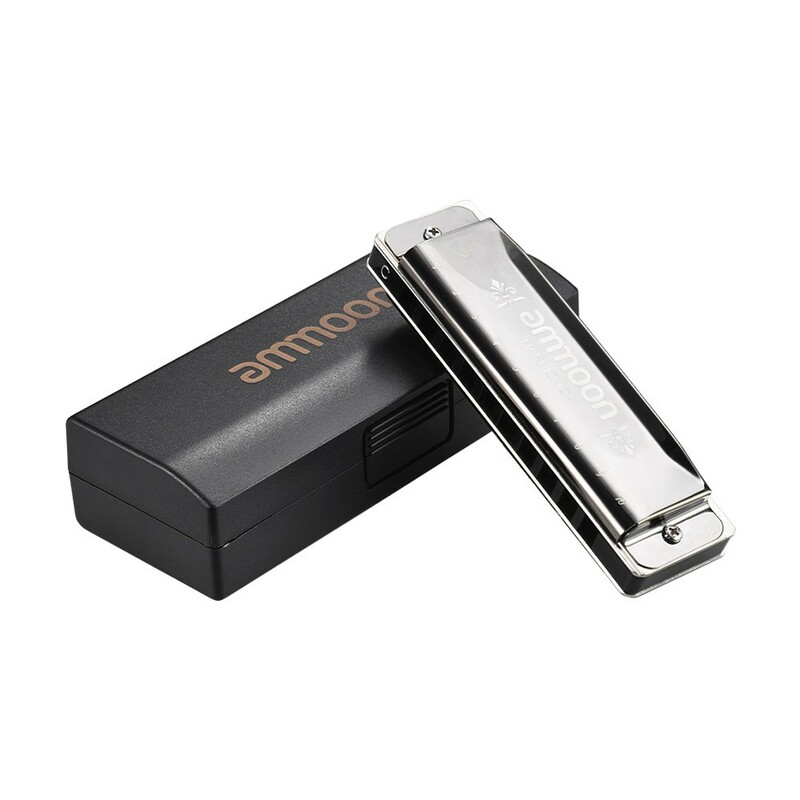 Q do the amoon harmonicas come in any other key than &quot;C&quot;? 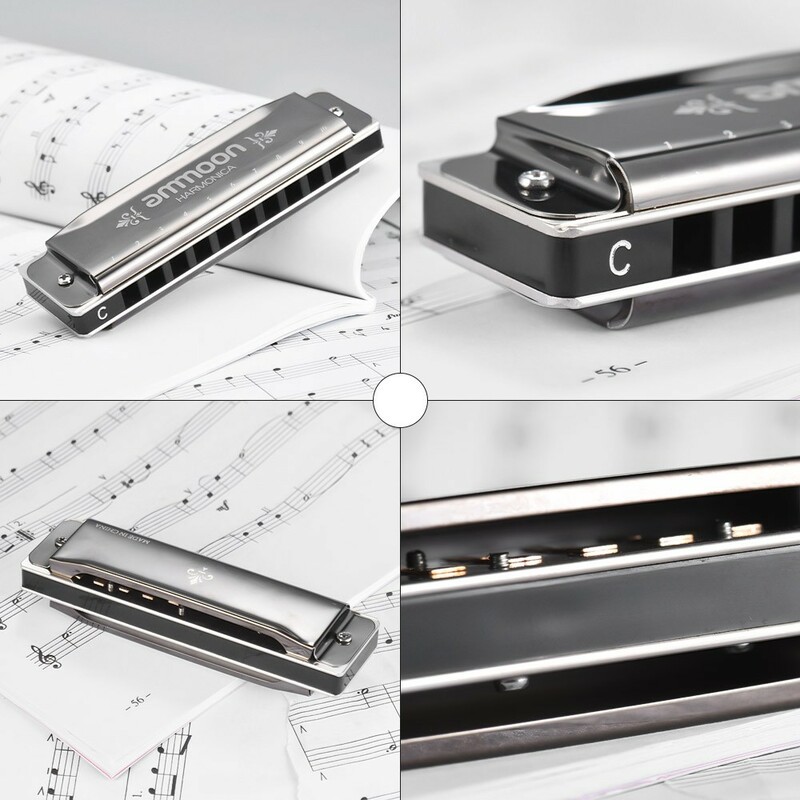 A No, it only has the C key.